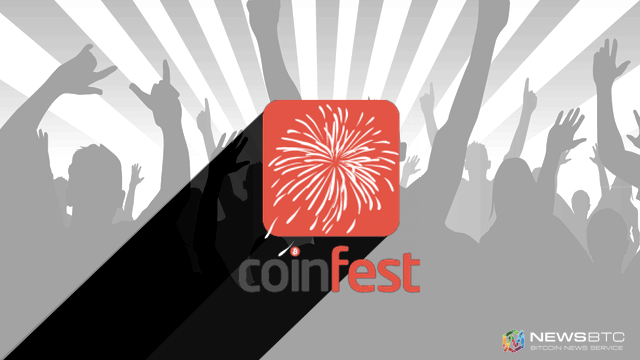 Last year, CoinFest hit a record of sixteen cities worldwide, firmly establishing its open source and decentralized convention model in the annals of cryptocurrency history. This was an exponential increase from only three events across Canada the year before, starting with just one in 2013. Now, over 30 cities are planning to host simultaneous events come April 5-10, making it potentially the biggest crypto event ever planned. Some organizers typically drop out before the convention starts, due to life circumstances, funding issues or other reasons, but with two months left until the event date, it’s expected that more will throw their hats in the ring. Many of the participating cities are incumbents, such as the founding city of Vancouver. Moscow and Saint Petersburg—which defied their national government’s ban on Bitcoin last year—are also expected to return, still organized by the Cryptocurrency Foundation of Russia. Other incumbents include Arnhem “Bitcoin City” in the Netherlands, Helsinki, Finland, Tallinn, Estonia, Toronto, Canada and Fortaleza, Brazil, while the Colombian event has moved to Popayán. Africa will again be a hotbed activity, with Ghana, Tanzania and Botswana playing host once more, and iHub and DialFund planning to take Kenya by storm. There are plenty of newcomers, as well. The Dutch activities have spread to Amsterdam thanks to Bitcoin Wednesday, and Bitcoin Seoul will be the first to bring CoinFest to Asia. The United States will also see CoinFest for the first time, with founder Andrew Wagner helping out in Washington DC, Alpha Bitcoin covering the Midwest, and at least one event in California and possibly Tampa Bay. It’s also poised to hit the Muslim world in Algeria, likely covering multiple cities, as well as locations across Venezuela. Many are also excited for the event in Chile, now that Fort Galt is coming together, as well as the Danish event by Copencoin. The most ambitious event planned, however, is the one in Manchester, England, a first for the United Kingdom. Organized by CryptoBatesGroup, it has already accrued multiple local sponsors and a popular following of likely attendees. It will be held at MadLab, a hackspace that accepts Bitcoin. CoinFest International has already received multiple sponsors to its multisig vault, as well. The first sponsor to contribute—BookWithBit—allows users to book hotel rooms for Bitcoin, and is hosting some of the events in the Midwest. The second sponsor was NewsBTC, itself, whose franchisee community is closely intertwined with CoinFest’s community of organizers. New sponsors are rapidly joining the bandwagon, as well. The latest is Gamerholic, which is responsible for GamerholicCoin. It trades on Bittrex, and can be used to access Gamerholic’s arcade, and play a game known as Grabbit that rewards prizes to the winners. GHC can also be used to order PC and console games at a discount via their website. eMunie is another recent sponsor, a cryptocurrency with a twist. It is unique among decentralized currencies in that it forgoes use of blockchain technology. Instead, transactions on the P2P network are funnelled through what they call “channels,” which they claim is significantly more efficient. Real-world testing has already confirmed its ability to handle thousands of transactions per second, while Bitcoin’s small block size limits it to less than seven. As CoinFest’s pool of resources grows, so does excitement among the grassroots cryptocurrency community. CoinFest thread top bitcointalk.org’s Meet Up section, and innovative surprises such as an International Hangout and Decentralized Arcade are in the works. Keep checking NewsBTC for ongoing coverage!